What is one critical difference between an organization that has raised several major gifts and the organization that continuously raises major gifts… maintaining a growing major gifts program? In brief, the latter nurtures longevity in all its relationships and understands that longevity is the key to nurturance. And, specifically, it is learning relationships that elevate organizations to raise major gifts. Today, having a major gifts fundraising program has become the outstanding priority (and sometimes wish) of many fundraising organizations. After all, you can spend two years raising small gifts of $5,000 to meet a $1,000,000 campaign goal, or, you can cultivate the same number of prospects all with $50,000 to $100,000 gift potential… and target a much higher campaign goal. The strategy to achieving this requires multiple developments in your company culture… and a confluence of three critical persons in your operation: board members (which includes donors and volunteers), fundraisers and researchers. A healthy web of relationships here bears directly not only on your annual fundraising revenue but also the robustness and longevity of your organization. 1. When your lay people express interest in working for your cause and they possess different skills, enthusiasm and sensitivities, how do you teach them the skills to help you fundraise and communicate your mission? 2. When you and a fresh colleague (who is learning the ropes) have a first meeting with an interested prospect, how do you teach him or her to intuit if the prospect has the general capacity and inclination to become a $10,000 or $100,000 donor? 3. When you’re ready to move from standard prospect research (mechanically filling in data fields) to shrewd strategic prospect research (identifying the connector and the major gifts prospect), how do you season your information professional? Sometimes an unorthodox model can reveal insights. Of all places, one answer might be found by looking at Phoenix Rising Yoga (PRY), which has created a culture for teaching skills, nurturing community and making traditions part of their practice. 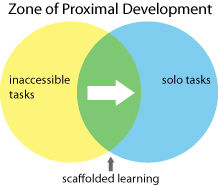 I ‘m certain that PRY has not heard of Lev Vygotsky the Russian psychologist, who described a “zone of proximal development” (zoped), a learning situation or context in which a more experienced peer shapes a malleable “scaffolding” to aid a less experienced individual to engage and master a task. But PRY has created effective learner-sensitive zopeds that provide guidance. As their students gain the skills to complete asanas on their own, their teachers gradually dissolve the scaffolding. Students develop skills and independence through their relationships. What is a scaffolding? It can be a flexible interactional structure that mediates guiding words, images, even music – whatever may be the right way (or ways) to communicate and provide support. In this sense, “technology” covers the entire gamut of possible behaviors as support. So, here is a first guiding principle to cultivate your total fundraising community: Develop in-organization talent through learning relationships… not mentoring relationships. The “mentoring relationship” can still regress to “the sage on the stage” who can become distant and above you as his wisdom descends from his or her elevated stance. In contrast, the learning relationship is grounded in a latitudinal stance with “the guide on the side.” This can be be situated in the actual messy world with a “let’s roll up our sleeves” and do-this-together mentality. Or, the guide can have a much more subtle style and support occasional micro-adjustments. Several of these guides are part of the team that can inspire your total community and gel a major gifts culture. As you read about Phoenix Rising Yoga, I encourage you to apply your analogic thinking skills and consider how this applies to your fundraising practices. When I first entered PRY it was not hard to tell the advanced from the neophytes in their asanas, the first cleanly, elegantly, holding positions, and the second not all, with physically-stuttering legs that struggled to stay stationary. My limited experience has involved occasional attempts over the years: from a weekend class at the Kriplau Center in the Berkshires when I was a flexible 28 year-old man to an occasional get-together through my 30s. I was a well-meaning and optimistic dilettante. As the instructor described the first asana, everyone stretched and I stretched my right leg back into the opening of the Sun Salutation, the first routine to awaken your body, perk up your energy and prime you for more demanding asanas. Another instructor behind me used her left hand to stretch my foreleg towards her and her right hand to stabilize my ankle. I wobbled, but followed through. With a scaffolding that was literally rendered by human hands, I was grateful, stable to the point of holding the position and feeling it as an accomplishment, personally connected to my hands-on instructor, content to see fellow novices being supported the same way by their own yoga-angel, by more guiding hands. Modestly, PRY’s website claims that this physical contact between instructor and student can precipitate a therapeutic response and they’re right. As novices’ bodies open to new ways of moving, the mind relaxes and clears, the heart miraculously opens and then healthy emotional release can open like a little geyser. Why this hands-on approach? PRY fosters more than skills. It creates an intimate and powerful process to nurture a heart-felt community of aspiring yogis in learning relationships that resonate all around. – What events does your organization create to cultivate the skills of its new board members so they become a part of your community? – Do you have a scaffolding or several scaffoldings (analogize PRY’s hands) that help board members grasp the ropes of their responsibilities? – How can your organization contribute to donors’ feelings of satisfaction that naturally accompany the act of philanthropy? Just in case you missed the October 2006 article in The Economist – The Joy of Giving!, we are neurologically wired to feel great when we run, make love, and, yes, give to charity. So, conventionally, we all hold our fundraising dinners, which, with good entertainment, good food and inspiring speakers, can sometimes go a little viral. But we all know the industry reality: these dinners are time and labor intensive and they often don’t raise substantial funds. More so, these events serve a social function in bringing the community together which contributes to the ongoing cultivation of your major-gifts prospects and your already in-the-fold repeat-donors. You can also be inventive: Harold Grinspoon, a significant philanthropist to education and literacy, medical and Jewish causes, invites his closet friends and philanthropic collaborators to go hiking with him in the woods of Aspen, Colorado. Climbing “the hill” together is probably more bonding than any board meeting and it’s a good mix of nature, endorphins and a shared goal, and a wonderful setting to discuss a variety of topics, possibly also your organization, and intentionally not in your office, not in the donors’home, or some restaurant. All of Grinspoon’s participants get to enjoy the day, which is not scripted. What other creative collective contexts can do the same for you? Perhaps you feel constricted by the literal cases: running, making love and giving? Elevate these activities to the next abstract level and you could position them on a continuum moving from left to right, as expressions of energy. Running warms the body and releases daily worries from the mind (creating the receptive space), love-making brings us to connection with others (so we can better know ourselves and grow) and the climax is the ultimate expression of the physiology of nurturing and the accumulation of positive energy: the joy of giving the gift. In this context, the Vygotskian scaffolding of steps is a progression for learning how to impart constructive energy to the world. Analogize this process. If you now think of zones of proximal development as a training context that your organization is already loosely and vaguely employing, you may start to more precisely analyze how to create scaffoldings to teach skills, inculcate values, establish traditions and rituals, develop an ethos that celebrates philanthropy to extend and cohere your community. Of course, most of the time, these social aspects from skills to rituals will become part of the cultural fabric you are weaving. Fundraising organizations need their priceless master teachers (like PRY instructors) to help scaffold learning relationships in their total community of staff, board members, donors and friends. To become master teachers they need experience with different learners presenting different types and combinations of intelligences (as Howard Gardiner has posited) for fashioning each individualistic zoped for this is not a mass-production line in which you can ascribe a generic archetype for each case, but an art that requires diverse experience and senstivities. – Convene company institutes (even if for one day) where senior staff members lead workshops to expand skills, bolster teamwork, and enrich values and mission. Enculturate learning relationships in the moment, as a process and as a tradition. 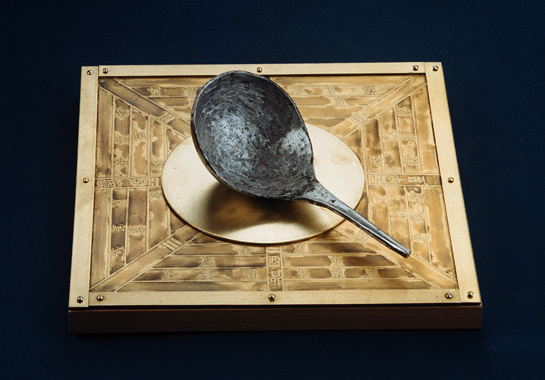 – Invite board members, consultants and executives from other organizations, including competitors, to company institutes. Learn about their learning relationships (and whatever else they’re doing right). – Send small groups of staff members with different skill sets to gain knowledge through conferences and workshops. The group’s diversity, modeling a small community, provides a multiplier effect for learning. Then, share the learning within your organization. – Send out emails to the entire organization when fundraisers bring in major gifts, PR places significant pieces, whenever staff attains a major goal. Organic knowledge and mutual appreciation will cohere your staff. – New board members can be introduced to your culture and essential skills (how to make an ask) through affirming role-playing exercises. This context welcomes humor (one healthy characteristic of a dynamic community) as their fundraising skills evolve. – Besides business, board meetings must also provide enjoyable activities for your lay people to affirm: we are in this together. Learning, play and community are intrinsically wound together like a triple helix strand of DNA. If you look more closely, you’ll find that these six interactions all share one meta-quality common to cultural processes: they can ramify into other situations and this is the type of healthy innovative virus that you do want to spread through your organization. Returning to Vygotsky, raising our children has this in common: at our best, rather than make them suffer our world where so much is processed, we personally create these vital little zopeds just for them, with them, touched by mutual creativity and our love. Over time, we negotiate scaffoldings for their growth and then (jointly) dissolve them (again and again) over time, so they can become self-sufficient, carry on our traditions (more so, the ones they value), develop their own values and mission and engage their own unpredicatable futures. Likewise, zopeds in fundraising can be touched by love and become a part of your transmittable fundraising culture. And your colleagues, board members and lay supporters will learn new skills, join your vibrant community and carry forth. And this may then manifest your just reward: the continuously successful major gifts program. ← Who Are Your Access People? Identify and use them to reach out to major-gifts prospects.